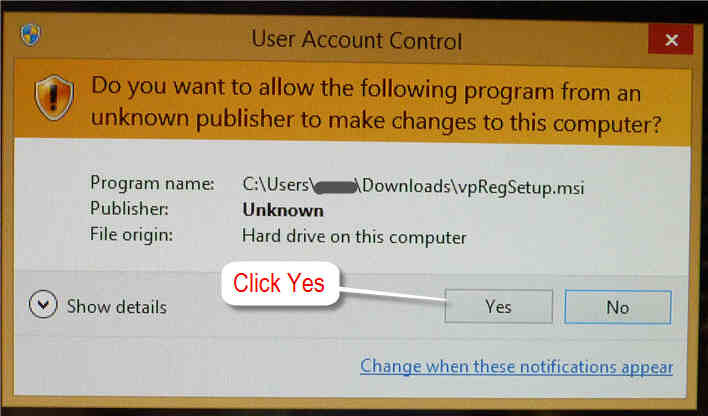 Follow the steps in this section carefully,if you plan to do this manually. Serious problems might occur if you modify the registry incorrectly. Before you modify it, back up the registry for restoration in case a problem occurs. Start Registry Editor. 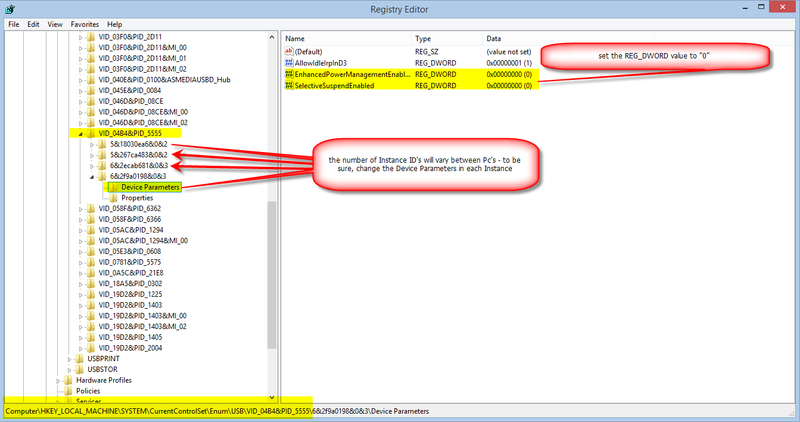 To do this, swipe in from the right to open the charms, tap or click Search, type regedit.exe in the search box. Or, type regedit.exe at the Start screen, and tap or click regedit in the search results. Tap or click the arrow next to the HKEY_LOCAL_MACHINE folder to expand it. Locate the folder whose name contains VID_04B4&PID_5555, and then expand that folder. Tap or click Device Parameters. In the details pane, right-click or press and hold EnhancedPowerManagementEnabled, and then click Modify. Change the Value data to 0, and then tap or click OK.